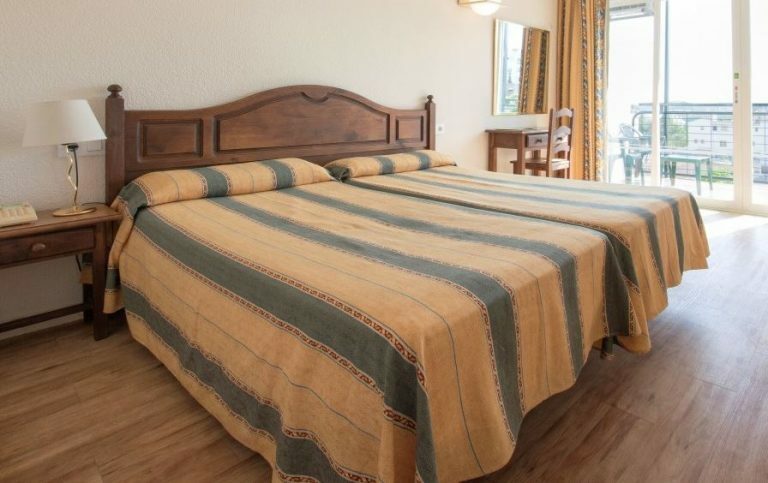 The Hotel San Fermin is located in Benalmádena on the Costa del Sol, just 150 metres from the beach and a short distance away from the Port of Benalmádena , which is a fantastic complex of bars, shops and restaurants surrounding the marina . 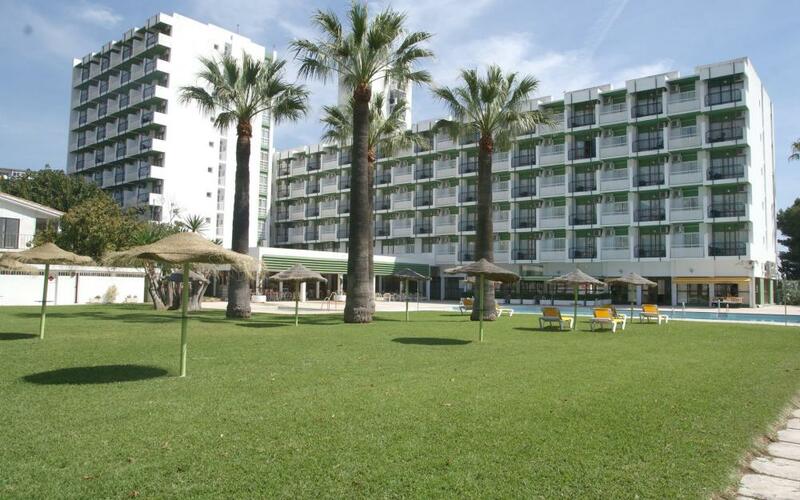 Nearby is also the Paloma Park which is a wonderful green large park ideal for strolling through or relaxing in the lovely climate of the Costa del Sol. 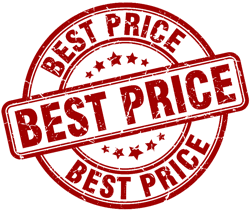 The attractive swimming pool area has sun beds for guests along with tables with umbrellas for relaxing by the pool and enjoying the bar service available. Free Wi-Fi is available in public areas of the hotel. The hotel´s restaurant offers buffet style dining with a wide range of regional, Spanish and international dishes. 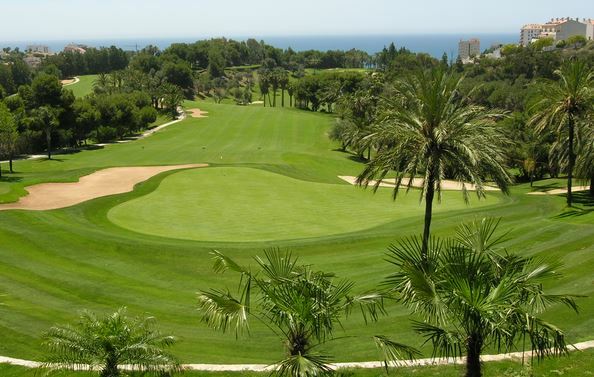 Torrequebrada Golf Course is often described as like playing a British parkland course and you have to agree with that after you have completed a round here. There is a nice relaxing start to the course with a wide fairway on this par 5, the one thing you don’t want to do though is go to long from your up-hill fairway to the elevated green because you will be on the next tee! You then have a very strange if not unusual par 3 where you have to take a sand iron so as not to over shoot the small green below your elevated tee box. 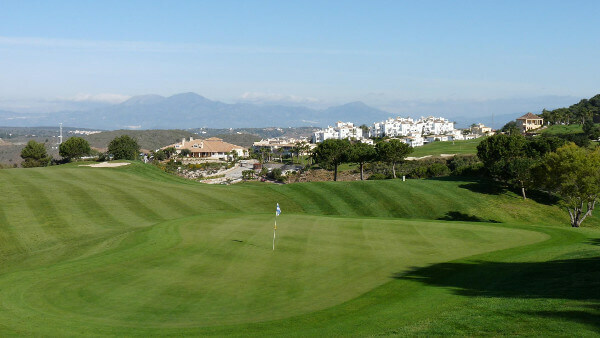 Located just a stones throw from the popular tourist destination of Cabopino Marina between Marbella and Mijas Costa, the Cabopino golf course is definitely one not to be missed. If you are visiting the Costa del Sol for your golfing break, the Cabopino course is well worth a visit. 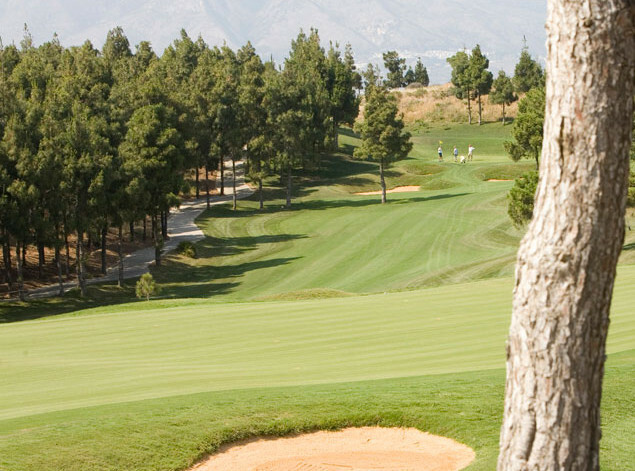 If you are looking to play golf in Malaga, Alhaurin Golf is a great choice and perfect for golfers of all abilities. 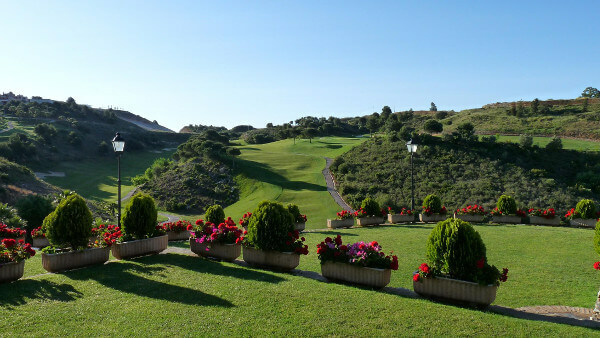 Designed by the legendary golfer Severiano Ballesteros, Alhaurin Golf will test your golfing skills to the max requiring you to use almost every club in the bag. Seve was not only a great golfer, but also a master golf course designer. Every hole is different, with each one offering spectacular views of the surrounding Sierra de Mijas and Sierra de Las Nieves. 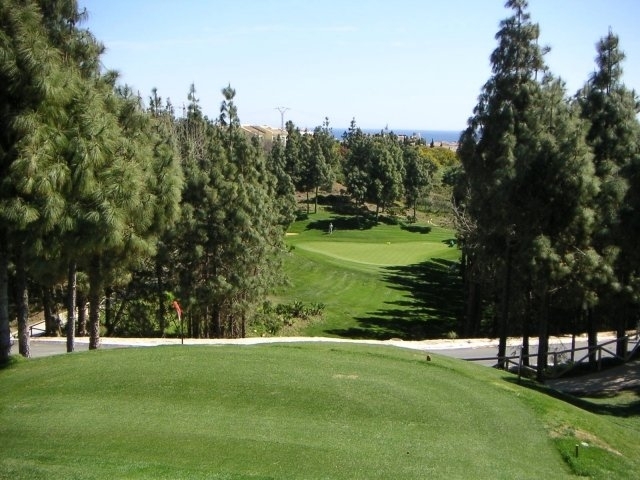 El Chaparral is an 18 hole golf course which sweeps along the undulating coastline of Mijas Costa, approximately 20 minutes drive from Malaga. It’s one of the nicest courses in the region and popular with those looking to play golf in Malaga. The course and Clubhouse are unique on the Costa del Sol. 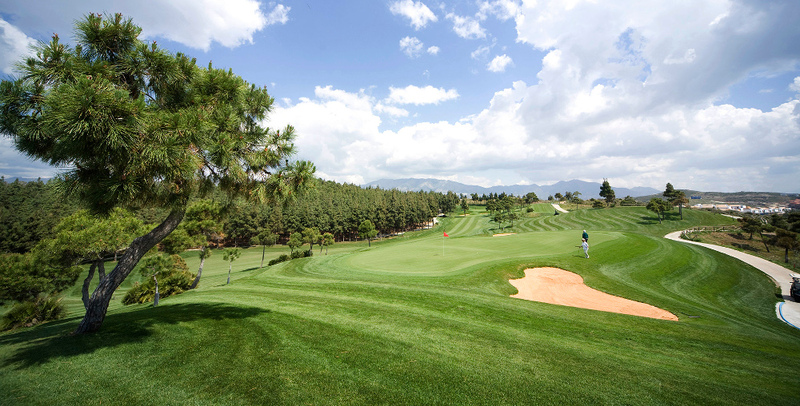 Practically every hole overlook the sea, and the nature of the terrain, the indigenous vegetation and pine forests ensure that no two holes are alike. 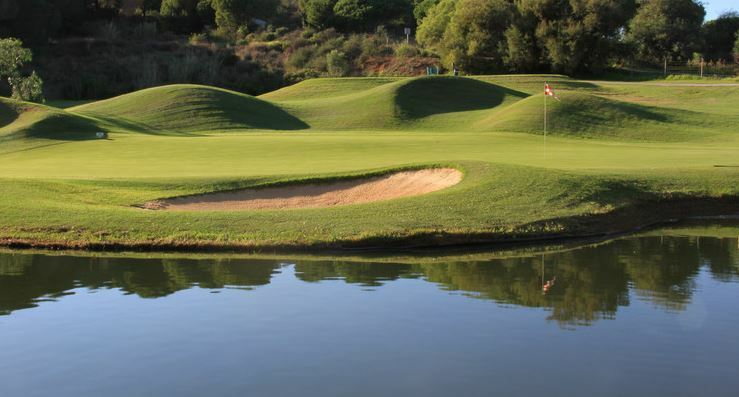 Indeed with six par 3´s, six par 4´s and six par 5´s it is a beautiful and challenging course to play. Imagine yourself poised on the tee, your attention distracted only by the panorama, the warm sea breezes and the scent of the Mediterranean brush and pine. A golfers paradise!